Signer oppropet – sign the petition! Norske oppdrettere ønsker å vokse på Island – i åpne merder selvfølgelig. Island er den ville laksens siste skanse, så langt relativt uforstyrret av oppdrett. Hjelp våre Islandske venner ved å se videoen, signere oppropet og påvirk Islands regjering. Island kan bli et laboratorium for ny lukket teknologi og kan vise verden hvordan dette skal gjøres. Reddvillaksen har sponset filmen og kampanjen sammen med NASF, ASF og Loop. Hver stemme teller, så del gjerne linken med andre. Iceland is the last frontier of The Wild North Atlantic Salmon. Norwegian salmon farmers are now attacking Iceland with their devastating open net pens. Iceland have a golden opportunity to be the first country with sustainable 100 % closed production. Pls help our Icelandic friends by signing the petition. The message goes stratight to Iclands government. Pls share. Objektkatalogen Villaksauksjonen 2018 er klar! Vi presenterer idag en fantastisk katalog med masse fint friluft- og fiskeutstyr. Her er det en ting å gjøre – å komme på auksjonen og by på objektene. Here you will find the English catalog. Reddvillaksen har satt av kr 200.000 i 2018 til foreninger. Midlene skal brukes til prosjekter som bedrer gyte- og oppvekstforholdene for sjøørreten. Vi vil støtte konkrete tiltak – for eksempel betaling for gytegrus og habitatsforbedringer. Prosjektet skal være ferdigstilt innen lokal gytetid 2018. Vi kan ikke støtte forskningsprosjekter, konsulentvurderinger o.l. Hvis du vil søke om midler, må du sende inn en kortfattet beskrivelse. Vi forventer en enkel tilbakerapportering fra de som får støtte med bildemateriale som vil bli lagt ut på Facebook og web. Ten months ago, many of us travelled to Reykjavik to pay tribute to a legendary figure in the world of salmon conservation, Orri Vigfusson. At the time, we did not yet know what the future of NASF would look like, but we pledged to preserve Orri’s legacy, to protect his life’s work and, in doing so, to continue to work together to fight for the survival of North Atlantic salmon. I am happy to report that after months of negotiations, we have now secured a 12 year agreement with the Greenland fishermen’s union, KNAPK, to close their commercial salmon fishery. Thanks to tireless efforts by Orri and more recently by the NASF Iceland board members and our partner in salmon conservation, the Atlantic Salmon Federation (ASF), there will be no commercial netting in Greenland’s mixed-stock fishery starting this August, allowing thousands of fish to return to their natal rivers across the North Atlantic Basin. 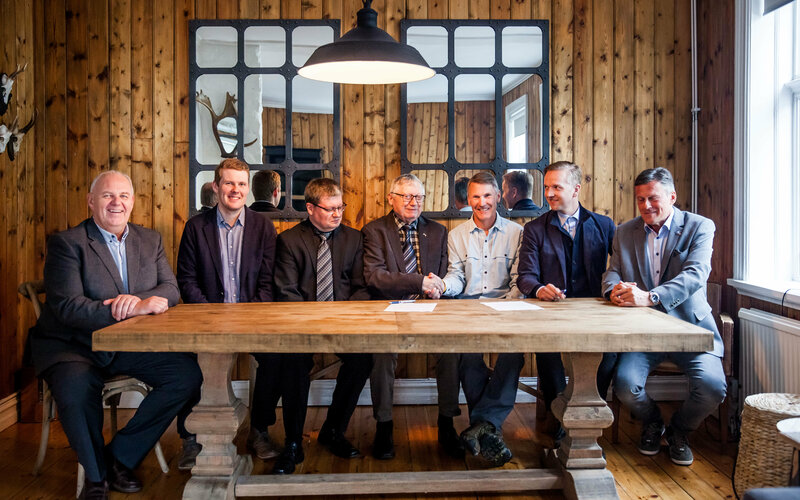 Just days earlier, the NASF / ASF team also closed a deal with the Faroese fishermen’s union, Laksaskip, ensuring the continuation of a highly valued, decades-long deal banning salmon fishing in that region. Orri would be proud that we have now agreed to a long-term agreement in Greenland for the first time in history and have extended the 22 year old agreement that he innovated with the Faroe Islands. These two transactions ensure that increasing numbers of large, adult salmon from all over the Atlantic salmon habitat will spawn in their home rivers starting this August, providing critical population growth for both robust and imperiled stocks. In the case of Greenland, it is the culmination of years of efforts, begun by Orri, aimed at bringing fishermen back to the negotiation table and identifying sustainable economic development projects as alternatives to salmon netting. In the Faroes, this is a continuation of the agreement that Orri put in place in 1991. Perhaps most importantly, these deals signify the future of NASF. They demonstrate the unwavering dedication of NASF affiliates on both sides of the Atlantic to work together to continue Orri’s mission. That was evident this past March, at the first annual Salmon Summit hosted by NASF US, NASF Iceland, and our partners – which many of you attended. 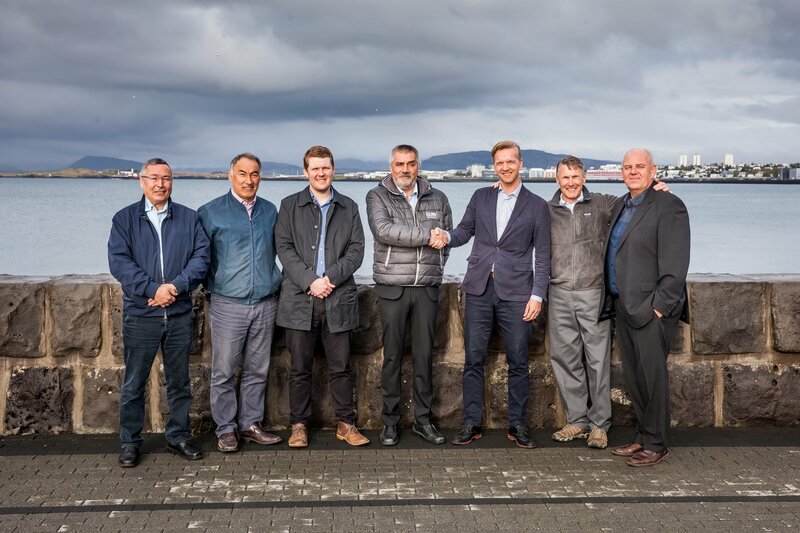 Approximately 60 representatives of over 30 NGOs from around the North Atlantic, research institutions, and sustainable industry groups convened in Reykjavik to discuss the state of salmon populations and to strategize a course for supporting remaining stocks. Salmon advocates came together, many for the first time, to discover areas of shared concern and to discuss how we can draw on our unique strengths and areas of expertise to advance the cause. All Summit participants agreed that the time for in-fighting is over. It is critical for us to band together because the challenges faced by North Atlantic salmon are bigger than ever. There have been several very powerful media productions that have recently been released to increase public awareness of the plight of the Atlantic salmon. We were fortunate at the Salmon Summit to screen or preview several. Among them was the groundbreaking Norwegian documentary “Den fantastiske villaksen” (“Salmon Story”), the highly acclaimed Ocean Foundation production “Lost at Sea,” detailing the research vessel Celtic Explorer and its findings, and a preview of the film “Under the Surface,” which was just released in Reykjavik with the goal of bringing attention to current threats posed by foreign aquaculture industry interests to Iceland’s salmon rivers. NASF will continue to assist our colleagues in Iceland in this battle against Norwegian companies seeking to expand their fish farming operations into Iceland’s pristine fjords. We will work together with NASF affiliates and other partners in Canada, Norway, Sweden, the UK, Ireland and beyond, to coordinate our resources and to create the architecture necessary to enable collaboration – be it in organizing compelling media to educate policy makers, or in promoting sustainable aquaculture regulatory standards that will safeguard salmon consistently across the North Atlantic region. I invite you to visit our website at www.northatlanticsalmonfund.org to learn more about what we have been doing. We’ve included materials from this year’s Salmon Summit here and ask you to save the date for next year’s Summit in Norway on May 9th – 11th, organized by our partners Reddvillaksen. And please do consider a donation to the Orri Fund, we cannot do this alone. Thank you to all who attended the 2018 Salmon Summit held in Reykjavik, Iceland on March 22 – 23. Approximately 60 representatives of over 30 NGOs, research institutions, and sustainable industry groups convened to discuss the state of North Atlantic salmon populations and to strategize a course for supporting remaining stocks. During the two-day Summit experts from across the North Atlantic Basin provided in-depth updates on these and other issues vital to the species’ survival. Attendees met in breakout sessions to further discuss topics such as country-level advocacy, High Seas buyouts, and regulatory advances in aquaculture. Two films were screened, “Lost at Sea” and “The Salmon Story,” and attendees toured a local land-based aquaculture facility. Please visit the NASF website to view the speaker presentations, event photos, and more. Stay tuned for future updates from our partner Reddvillaksen (NASF Norway) on the next Salmon Summit, which will be held in Norway in May of 2019. Please also check out the Reddvillaksen publication about the threats to wild Atlantic salmon, to learn more about their work.